Camp staff members have the opportunity to positively impact youth in a fun work environment that allows for them to develop and learn new skills throughout the summer. Many positions allow for the opportunity to manage others, use your creativity to develop programs, and to demonstrate and practice presentation and teaching skills. 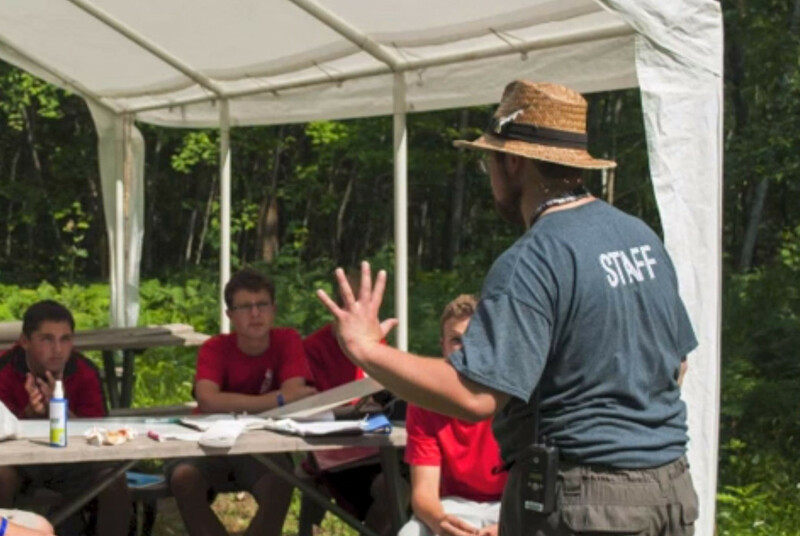 Scouting experience is a plus, but not required for summer camp staff opportunities. Summer Camp Staff will work with youth ages 11 – 17; Cub World staff will work with youth ages 6 - 10. Staff members receive a weekly salary, from June 9th to August 3rd. Many staff members will be eligible for an additional week of employment from August 3rd – 6th. Room and board are provided for all summer camp staff members. Salary is based on the person's position, experiences, and years on staff. Provide your contact information and outdoor program / Scouting background. Be sure to list three references who can attest to your outdoor program or previous job experience. Be sure to select 3-5 positions that you would like to work in. Submit the application as completed. You will love working on Camp Staff. You will have fun, be challenged, and will develop real-world leadership skills.